It's spring time in the White Mountains, this usually means I'm out getting in some bigger hikes while taking great pictures of the changing snow-white to spring-green scenery. However, this April has proved to be a difficult hiking month as the usual spring snow, mild temps, and sunshine have been replaced by extremely icy conditions and gloomy weather. While I've been getting in a few fun hikes, there haven't been too many great photo days, therefore I've been lacking on updating the trip reports. Instead I'll leave my dorky elevation over miles profile graphs up for now. Enjoy! Over the years I have been fortunate to hike some of the more rugged and longer hikes in the northeast. 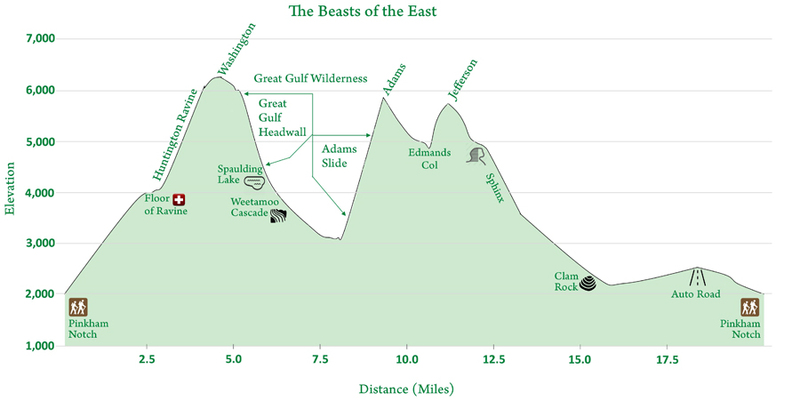 From well known hikes like Presidential and Great Range Traverses, to my own unique routes that I've created while studying the maps. 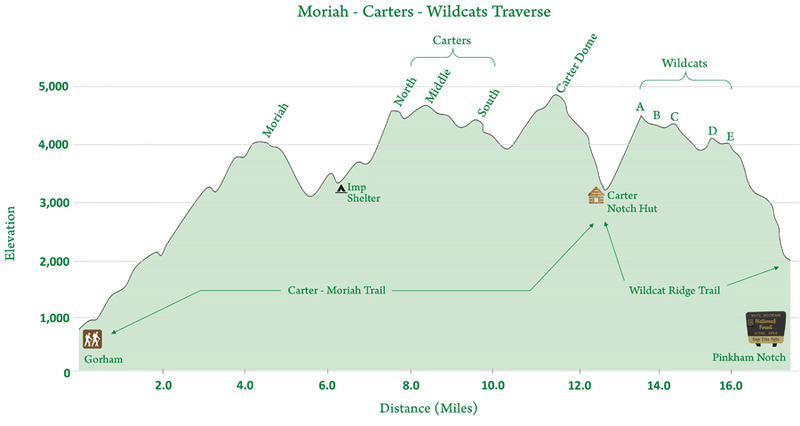 After writing the trip reports and posting pictures I often look at the elevation gains and losses on the graph that is produced from my Garmin Forerunner 910XT. 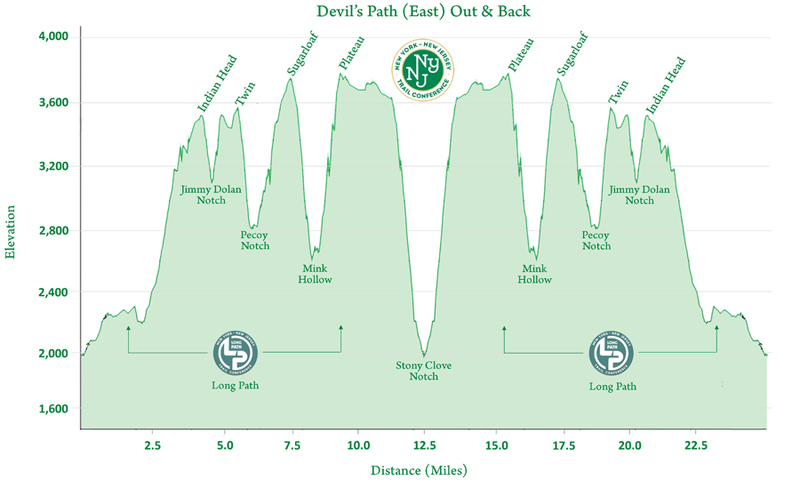 I always like how the elevation profile resembles a roller coaster as it's displayed across the duration of each hike. Now that I live in the White Mountains, I find myself having anywhere from three to five extra hours of time at the end of the weekend from no longer having to drive back to Rhode Island. 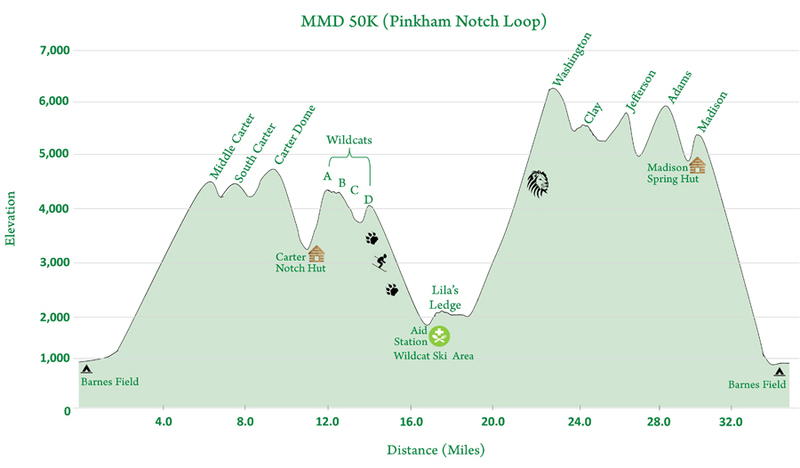 Over the past few months I've started taking these elevation profiles of some of my favorite hikes while adding graphics and points of interest to them. 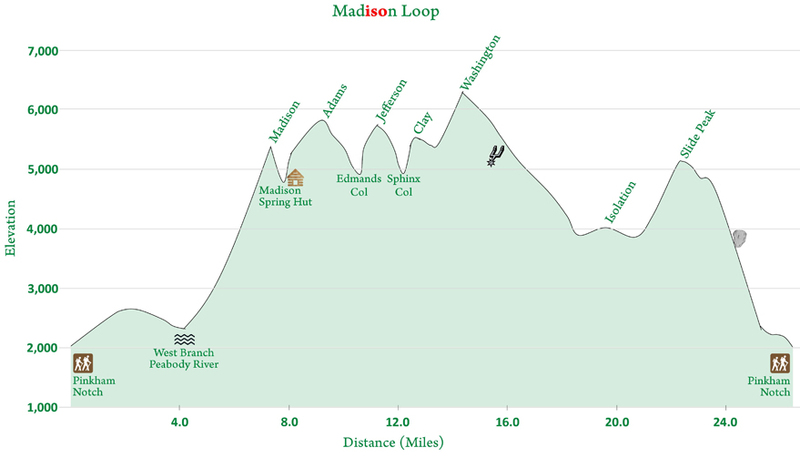 Below is the final product of several of my favorite 'ultra' one day excursions and one multi-day! This is awesome and impressive on so many levels! Thanks for posting and the small blurbs for each. Seems like your ADK experience will live with you forever! Thanks, hope you get to try one of them out and you get a good day to do it. One of the best parts for me is stuffing my face full of food after! 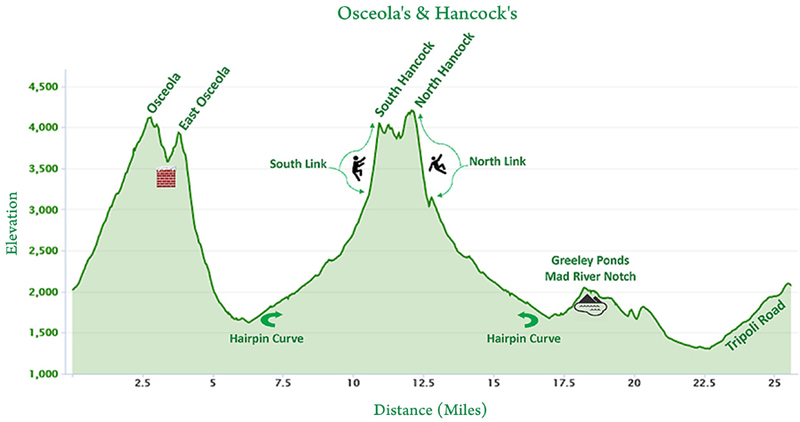 Great recap of awesome hikes. 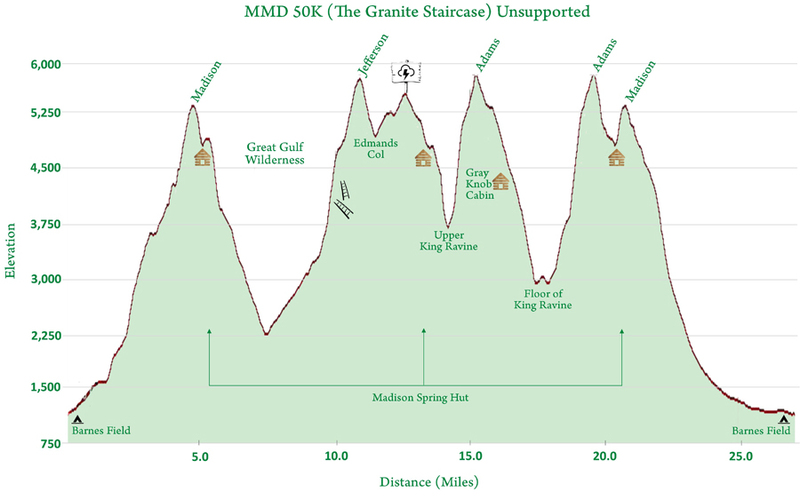 I didn't know about those ultra races, they look brutal! The slides add interesting twists and huge gain! Thanks, Richard. The slides really slow the pace down and can increase a split dramatically during the hikes/runs. 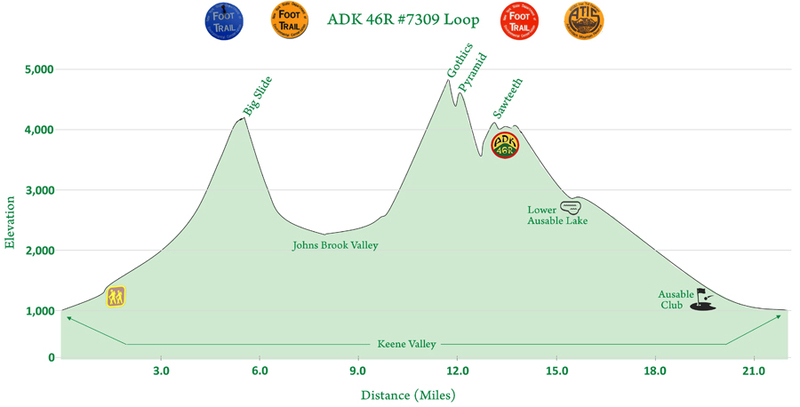 This summer I'm hoping to do an ADK "Marshall" loop - Big Slide, Great Range, McIntyre Range that another hiker told me about. I'll let you know if I plan to do it and see if you'd like to join in! !